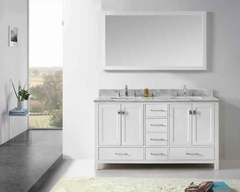 The Micah dresser offers an unique styling casual contemporary look that is sure to make a bold statement in your master bedroom. All hardware is metal in a brushed nickel finish and geometric in appearance. 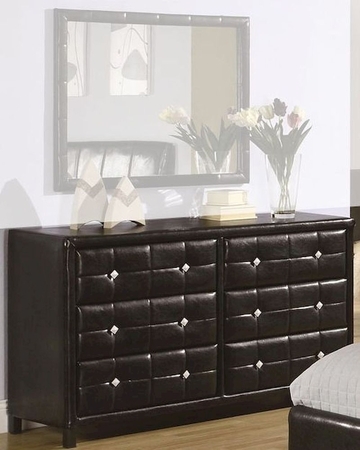 Drawer fronts, mirror frame, and headboard feature a quilting effect that gives the pieces an enhanced aesthetic appeal. Each piece is fully upholstered in black vinyl, creating an exceptional appearance and style. Dresser - 58"W x 18"D x 32.75"H.
All pieces fully upholstered in black vinyl. All legs upholstered in black vinyl. Geometric metal hardware in brushed nickel finish.